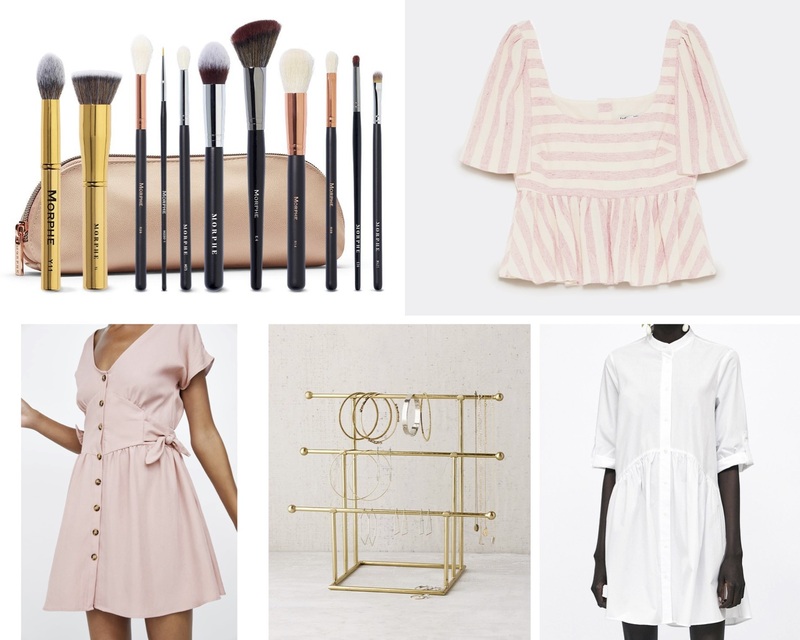 Gifts I Bought Myself For My Birthday | Priya the Blog | life & style in Nashville & beyond! I'm not sure what this post is, exactly, some sort of retroactive wish-list? Well maybe you have a 27th birthday coming up, and you're wondering what exactly you want. Sometimes the best gifts are the ones you get yourself, and there is no shame in that. And not that you ever need a disclaimer for spoiling yourself (!) but when I was thinking "did I go overboard for my birthday this year" I remembered I am constantly side-hustling, for such a time as this! And read on to see that technically I did not buy all of this for myself. I've had my eye on this brush set compiled by beauty vlogger Laura Lee since I saw the reveal video. I do watch her channel pretty consistently, though it may be an acquired taste ;) I'm totally still learning about make-up, and specifically, using the correct brushes for application, so I was very excited to try these out! My favorite so far is the crease brush. This set has gone out of stock TWICE but is currently available. How cutie is this? I fell in love with a very similar sold out top at Madewell, and my sister turned me on to this one! Still waiting for my second size to come in the mail, but hopefully it will be featured here soon. As you can probably tell, I love Zara, because I find that it's the perfect place to find "high fashion fast fashion." I always find great stuff there, whether it's the cool girl piece of the moment or a basic with a funky twist. I was so excited to go to Zara when I was in Florida for the weekend! I wanted to find a dress for my actual birthday dinner back in Nashville, and I love this one. Reformation vibes, no? This is a bit random but the jewelry stand I've had for years just did NOT fit my vibe anymore. I wanted something really simple and gold that would hold a lot! And this is on sale! I was joking that this was a very 27 year old purchase, a basic white button-down dress over something crazy and printed. This is the perfect dress to wear to work and i LOVE the swing shape. Outfit post coming soon! The earrings at Zara redefine "statement." These are not the exact pair I picked out, but have a similar tropical bejeweled and slightly ridiculous vibe. Do yourself a favor and check out their accessory selection, they have sooooo much good stuff and I want it all. These pumps are something I really wanted but ended up not buying. I am actually very proud of myself for not settling for "lilac", when I really wanted "light purple suede" but Nordstrom didn't have my size for the sale price. I'll keep an eye on them because they're just so fun! Dressy black shorts are my go-to for going out- whether it's to dinner, the clurb, a bachelorette party, etc. I have a couple pairs, but because I wear them frequently, I'm always on the lookout for a new cut or style. Ok these pants and the dress were a birthday present from my cute boyfriend! I was shook!! 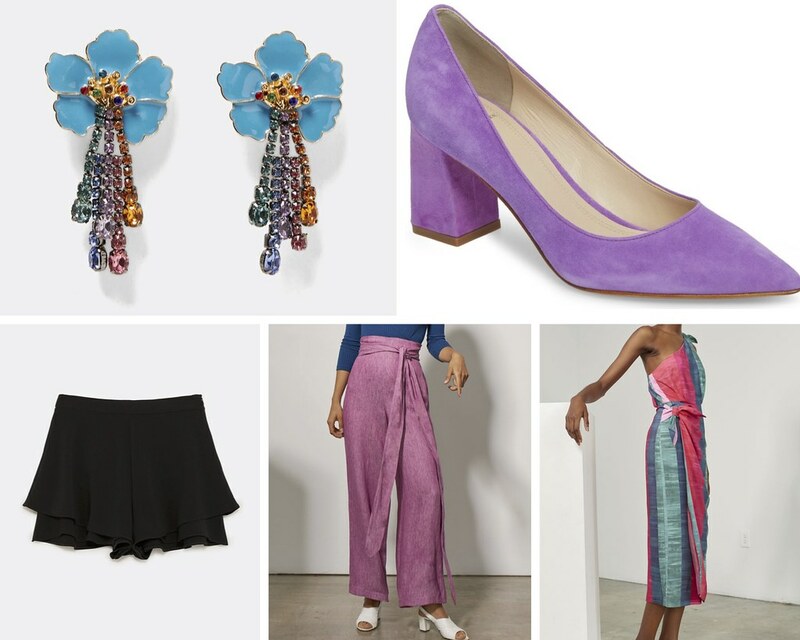 I love anything Mara Hoffman does, but I love especially that he picked out items FOR me - that I actually really, really like. Purple pants?! Hello. Aren't these a dream? This dress, also a gift from Art, is gorgeous. Probably a bit too fancy for every day, but I can't wait for an occasion to wear it! Are you on team "buy birthday gifts for yourself" and if so, tell me the best thing you got this year!